Professor Tan Junqiao was born in Shenyang, Liaoning Province, in 1927, and in his youth studied in Japan. In 1982, he was appointed president and general manager of the Chinese Packaging and Printing Corporation, a part of the Ministry of Light Industry, and was granted the title of senior engineer. Thereafter, he held senior positions on numerous printing industry-related boards, including vice secretary of the Printing Technology Association of China (PTAC), president of the Package Printing sub-association and Quick Printing subassociation, and vice president of PTAC. 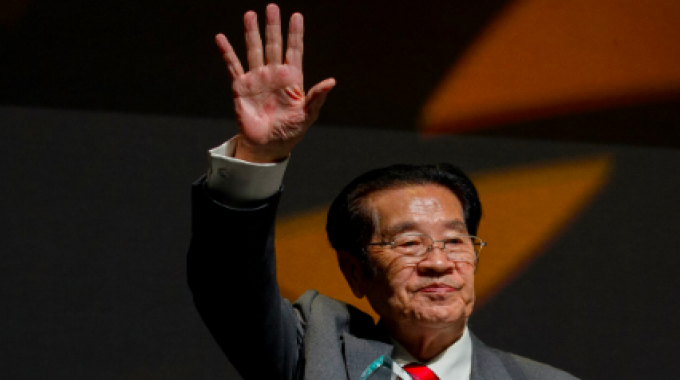 After retirement, he was employed as honorary adviser to the Printing and Printing Equipment Industries Association of China (PEIAC) and is vice director of National Technical Committee 170 on print industry standardization, as well as honorary president of the Label Printing sub-association. In addition, Tan Junqiao is part-time professor at numerous universities and colleges. As a veteran insider at the frontier of the Chinese label industry, he has witnessed its growth from infancy to maturity. Lintec was the first overseas company to be visited by Tan Junqiao and his team in 1985, and this was followed by trips to the US and Germany to visit pressure-sensitive label converters. He was behind the import by the Shandong Paper mill of the first production machinery for adhesive material production. Subsequently, he assisted many international label suppliers in establishing manufacturing bases or subsidiaries or joint venture companies in China. In 1993, Lintec set up its Tianjin subsidiary, which became the key manufacturing center for its letterpress business. In 1994, US-based Avery Dennison landed in China. Adhesive label design in those early days consisted mainly of text, line work and basic decoration, processes which could easily be reproduced by letterpress. Alongside the Japanese letterpress manufacturers, domestic manufacturers of flatbed and rotary letterpress machines soon appeared, including Zhejiang Weigang, Zonten Machinery, Hebei Wanjie, Labellong and Taiyo Kikai. Intermittent offset and flexo presses only started to appear later. Some Chinese adhesive suppliers had meanwhile embarked on large-scale production. Alongside the local label material and equipment suppliers, many famous international label printers established manufacturing bases in China: Shanghai Komark Labels & Labelling, established by Malaysia-based Komark International; CymMetrik (Kunshan) Printing and CymMetrik (Shanghai) Printing, set up by Taiwan’s CymMetrik Group; the Guangdong Dongguan and Shanghai subsidiaries of Hong Kong Win-label; the Hefei, Tianjin and Guangzhou plants of Canadian CCL Label, and others. At the same time, local label printers were being established, such as Suzhou Jan Tan, Zhongbiao Anti-counterfeit, Guangzhou Meikei and Dongguan Sunway. ‘After 30 years of persistent effort, the Chinese label industry accomplished the transition from importing materials and technologies from aboard to the current situation, with a complete industrial supply chain with its own research and development facilities, materials production and label printing industry. The quality level gap with the most advanced international standards has closed,’ says Tan Junqiao. In 2010, the annual growth rate (by value) of the total label printing industry reached 20 percent – much higher than the national GDP growth of 10.45 percent. Today most labels in China are still printed by letterpress. However, with environmental protection policies becoming stricter – especially since an environmental tax was levied in 2018 – plus the increasing demands of end users for short run, personalized and custom-made products, flexo and digital printing are increasingly being adopted by converters and end users. In 2017, a total of 180 flexo press units were installed in mainland China, an increase of 8.9 percent from 2016. Today digital presses account for less than 5 percent of installations, but this number is growing rapidly. 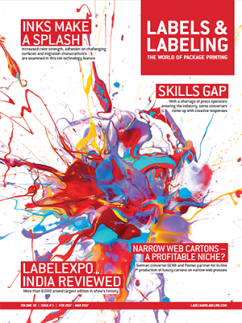 The article was first published in Labels & Labeling issue 6, 2018.